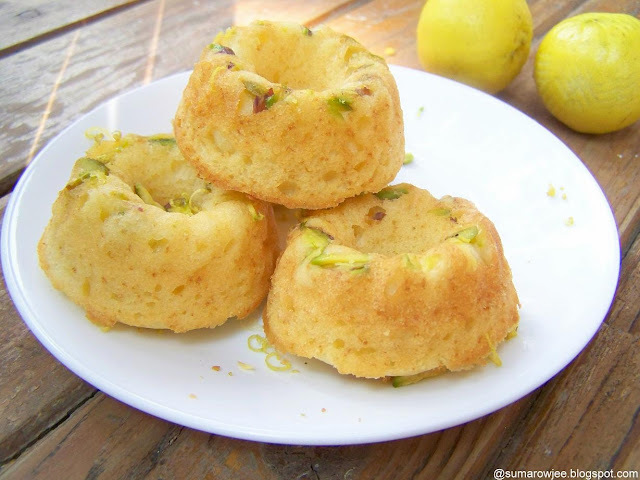 Cakes & More: Lemon & Pistachio Baby Bundt Cakes - And Meeting Kate Bracks! These look so so gorgeous , i'm sure they wud have tasted equally divine !! Kate remains my most favorite Masterchef contestants.Of course,there is Andy and Ben,but for different reasons;)Love her simplicity and her dessert recipes are awesome too.I am a bit jealous that you got to meet her,I mean Wow!Lucky you!! Wow wow!! For the cakes and for meeting Kate! 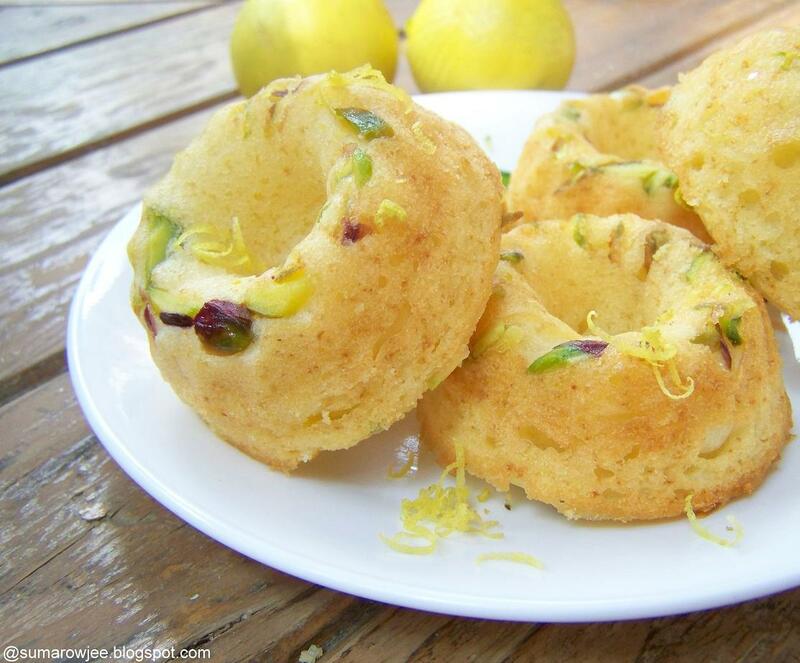 These little bundt cakes are so pretty. And am so so envious of all you guys who got to meet her !! Do you have her book ? 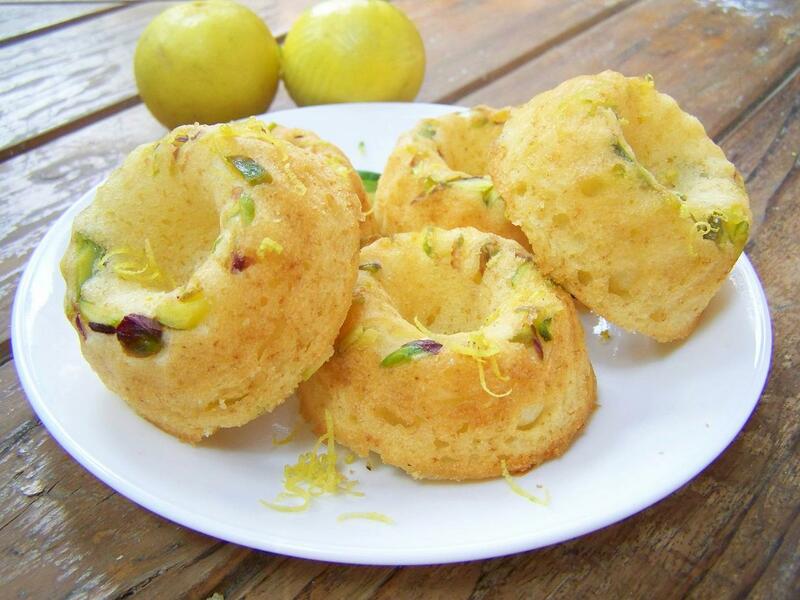 Love the looks of these with the pistachios..Will be in Bangalore soon, hope to meet up again this time ! Wat a life time experience na, beautiful moments with a fabulous chef..
Those bundt cakes looks damn cute and irresistible. They look so tempting suma! 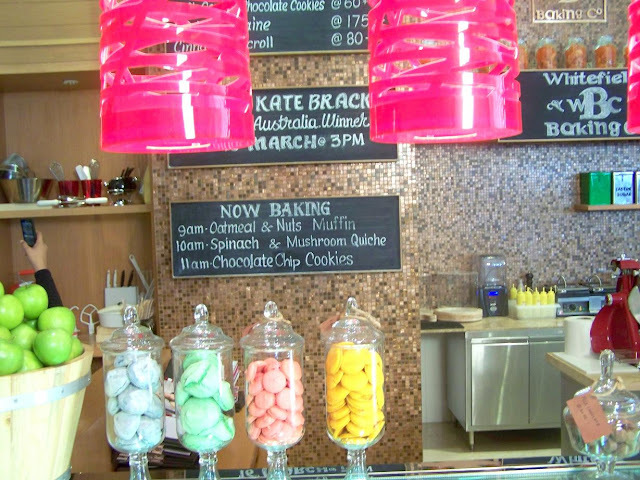 It was such a great opportunity to meet Kate Bracks, so nice you could make it. Masterchef Australia is thd most fav show at our home too. These cakes look so very tempting, pics are absolutley lovely. Absolutely wonderful! Must have been fun to meet Kate! Wow,very happy to see kate with you.I am a great fan of masterchef and i am very happy to follow your blog.